In the afternoon of Thursday 3rd of May 1855, the 465 gross tons british barque John, Capt. Edward Rawle, was leaving the Sound of Plymouth bound for Quebec with 282 people on board. The crew was accounting for 19 men while among the passengers totalling 263, were 98 children and 16 babies, most of them being emigrants coming from Cornwall and Devon. 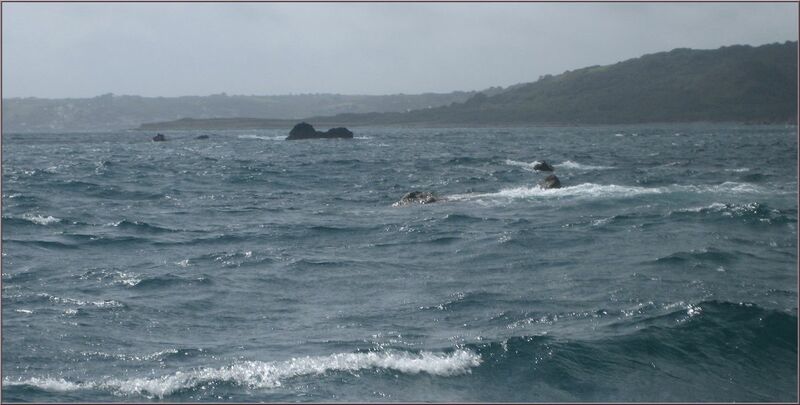 At about 9.30 pm, William Goodwin the first officer being on the watch in a misty weather, sighted St. Anthony's light near Falmouth but failed to see the Lizard's one which normally should have been seen shortly afterward. 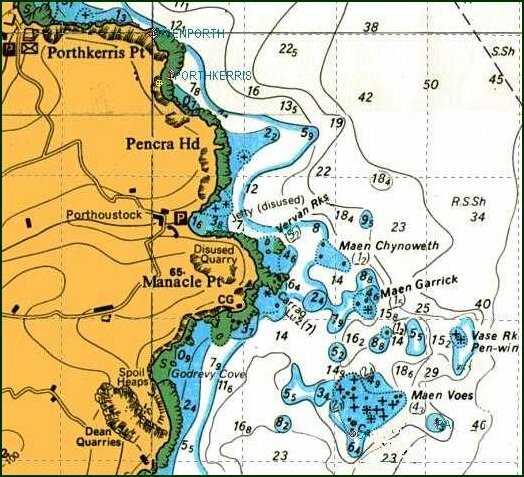 When Captain came up to the bridge he reported him the situation suggesting that the vessel was too close from the coast and that it was the reason why the Lizard LH could not be seen but Rawle did not pay attention to his mate and declined to alter the course. Thirty minutes later, the John was hitting the Manacles a few seconds after the lookout had shouted "Fishing boats ahead !" What he had thought to be fishermen were actually the pinnacles of the Manacles. At full speed the vessel carrying all sails ran over the outside reefs and was immediately after washed towards those further in where she stopped. An attempt was made to straighten her up by letting go an anchor but she started to roll heavily on the rocks. The confusion on board was so great that the first boat was launched without neither plugs nor thole-pins. In spite of that, the 4 seamen on board managed to reach the shore and alert the Coastguards but strongly refused to return to the ship. The dangerous shore preventing the coastguard boats from going out, nothing could be done before dawn. In the meantime the crew on board had found alcoholic beverages and together with the Captain had become intoxicated, leaving helpless the unfortunate emigrants although three more boats were available. Some passengers tried to launch the cutter but she soon broke open and sank. 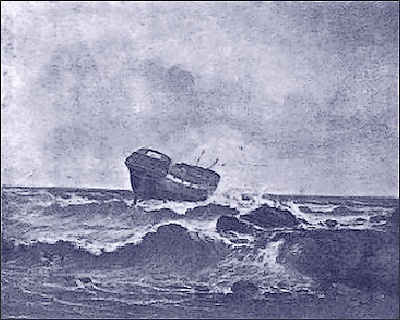 As stranding had occured during the end of the ebb time and although full of water, the decks were still out of the sea but Captain Rawle assuring that there was no danger ignored the requests and even the tide refusing that the two remaining boats were launched. His mistake became evident when finally the flow began to break over the wreck smashing the boats against the hull. At daybreak, help finally arrived from the shore but the boats were immediately stormed in confusion by the crew leaving the terrified wrecked people to shift for themselves. All those unworthy men were saved but shamefully 196 passengers, men, women and children were drowned. Following the inquest by the Board of Trade, Captain Rawle was trialed on the 28th of July in front of the Court and found guilty of ignorance and carelessness but was discharged from the accusation of manslaughter.